Shawn Dow is a small business owner from Arizona and political activist whose grassroots political work has started a national movement against the use of government surveillance, in the form of red light cameras and photo radar. He has used “Confrontational Lobbying” tactics in 29 states winning over 70 elections.He is the state director for the Arizona campaign for Liberty and served as the Ron Paul presidential campaign director for Arizona. Shawn has led the red light camera fight across the county, winning 100% of elections regarding automatic ticketing machines. Mr. Dow has run races from city council all the way up to president as well as writing legislation that has passed in over 15 states. Dow has just embarked on a long term project teaching political activists across the country in major cities and small towns how to take back the control over their government and in turn, their own lives. Jason Hartman: Welcome to the Holistic Survival Show. This is your host Jason Hartman where we talk about protecting the people, places and profits you care about in these uncertain times. We have a great interview for you today and we will be back with that in less than 60 seconds on the Holistic Survival Show. And, by the way, be sure to visit our website at HolisticSurvival.com. You can subscribe to our blog, which is totally free, has loads of great information, and there’s just a lot of good content for you on the site. So make sure you take advantage of that at Holistic Survival.com. We’ll be right back. Announcer: What’s great about the shows you’ll find on JasonHartman.com is that if you want to learn about some cool new investor software, there’s a show for that. If you want to learn why Rome fell, Hitler rose, and Enron failed, there’s a show for that. If you want to learn about property evaluation technology on the iPhone, there’s a show for that. And if you’d like to know how to make millions with mobile homes, there’s even a show for that. Yep, there’s a show for just about anything, only from JasonHartman.com or type in “Jason Hartman” in the iTunes store. Jason Hartman: Hey, it’s my pleasure to welcome Shawn Dow to the show. He’s a small business owner located in Fountain Hills, Arizona. He’s a political activist. His grassroots political work has started a national movement against the use of government surveillance in the form of red light cameras and photo radar. I’ve often said that the police are just the modern day tax collectors nowadays, and I’m glad to see people like Shawn out there protecting us from this kind of intrusion. Shawn, welcome. How are you? Shawn Dow: I’m having fun, Jason. Great to be with you. Jason Hartman: Well, good. It’s great to have you. So, tell us a little bit about Campaign For Liberty if you would first. Shawn Dow: Well, Campaign For Liberty was started around 2008. It was started to give people at the state level, the local level, the knowledge and ability to be effective in politics and be able to change what was happening in their areas. Jason Hartman: Well, it all starts there locally, right? What does Campaign For Liberty actually do? Does it hold meetings? Does it keep a mailing list and give out ideas as to how to write your congressman or what is the sort of mechanical aspect of it if you will? Shawn Dow: Well, it’s different than any other political organization I’ve seen out there before. What it does is it takes just the average Joe American, brings them in and gives them the tools to go out and be effective in their area, instead of other organizations where they bring people in and teach them how to be good volunteers for these people who are already entrenched in the political world, Campaign For Liberty instead teaches you to be effective and make the changes that you want to see. Jason Hartman: Fantastic. Are you the founder of Campaign for Liberty? Shawn Dow: Oh no, absolutely not. I’m just one of those guys that they plucked off the street and taught the tools to be effective in politics and I went out and ran out like a crazy man and just had so much fun with it that I kind of got promoted I guess. Jason Hartman: Okay, fantastic. Your business is a political consulting business. And maybe you can just tell us about that a little bit and then I want to talk to you about these cameras and this massive intrusion. Now, iot’s probably going to get a lot worse with drones, something that concerns me very much. But give us a little background on that in terms of your political consulting. Shawn Dow: Yeah, my political consulting business is RPR Inc. and I’ve been campaign managers for congressman and senators and all the way up to the presidential races. Jason Hartman: Fantastic. And that’s keeping you busy now where we’re not on the verge of an election, right? Shawn Dow: Actually, the presidential election season has pretty much already begun. The 2016 races, the candidates are forming their committees, they’re doing the groundwork already. So we’re all very busy already. Jason Hartman: That is totally amazing. And I gotta just say, for the record here, it is May of 2013, so I had no idea that it all starts that early, but it’s such an important thing to look forward to. Shawn Dow: In New York, the elections for committee men to elect delegates to go to the presidential convention, that begins in two weeks. In these races, the work begins early. Jason Hartman: Sure does. It’s unbelievable. Talk to us about your work with these red light cameras and photo radar. When I lived in California, I always wanted to move to Arizona and I finally did it two years ago. And the one thing that always concerned the heck out of me about Arizona, seemingly a freer state than the socialist republic of California is that you have these vans all over the place with photo radar in them just printing, essentially printing speeding tickets and red light cameras and cameras that were installed on the freeways. I’m so glad the vast majority of these are gone. They’re not all gone. But this is just a way for municipalities to just print money, isn’t it? Shawn Dow: It absolutely is. Basically, how it all started was in 2008 they drastically expanded the photo radar programs in Arizona. In 2008, there were only two municipalities that had it and they were very small in out of the way areas. But then Governor Janet Napolitano decided that she was going to stick a video surveillance camera with the ALPR, Advanced License Plate Recognition software on pretty much every street corner and every mile on the freeway in Arizona. We found the contract that they had signed with this private foreign company from Australia to issue and fight these tickets in court and take it all the way through the court process, including adjudicating most of these tickets themselves without ever even seeing a judge. Our organization, the Campaign For Liberty, got very upset and decided to step up in our fight in it and use the tactics and tools that we learned to fight this program. And it wasn’t long after that that we killed the entire statewide program, costing the state of Arizona their $120 million a year they were planning on stealing from Arizona residents. Jason Hartman: Yeah. It’s so ridiculous, Shawn. They always do this stuff under the guise of public safety. And there’s no way you or anybody could tell me that that doesn’t influence decisions. If they’re able to give out speeding tickets, for example, in mass, that it wouldn’t influence what speed rating they would give a particular road, in other words give it a lower rating so people will speed. There’s this one road in town and it’s a 40 mile an hour limit. And it seems like it should really be a 50 mile an hour limit. I mean, it’s a clear open road. People are just going along at 40 and it’s a good place for police to radar people. Shawn Dow: Jason, what you’re talking about is some of the biggest lies in Arizona politics, is that these cameras improve safety and they did it under the guise of safety. If it’s true that they improved safety, then why have 14 cities in Arizona, including a state, taken out the cameras? The city of Peoria, Arizona, saw an increase after they installed these in accidents, an increase in accidents of 480%. Jason Hartman: Tell us that. Shawn Dow: The same thing with the freeway. You think that it was our politics and our activism that took down the cameras. No, the truth of the matter is the only reason they took those cameras off the freeway is because accidents skyrocketed. Jason Hartman: Why did they skyrocket? Because people were slowing down for the cameras? Shawn Dow: Jason, when you’re driving along the freeway and you see a cop parked on the side of the road, what do you do? Jason Hartman: You hit your breaks. You naturally tense up. Shawn Dow: By sticking these cameras every mile on the freeway, essentially what Janet Napolitano did was install a speed bump on a freeway every mile. Rear end collisions skyrocketed. Not to mention, when you’re talking about these red light cameras at intersections, you’re talking about a very bright flash going off in the most dangerous part of the road, the intersection. It takes time for your eyes to adjust. Military veterans that I deal with all the time, those of us that are driving down the road, we see that bright flash, we think that an IED went off. It increases accidents. Tempe saw increases, Scottsdale saw increases. Every city across this country who has installed these cameras have seen increases in accidents. Pinal County had doubled fatalities at the intersections where they installed these cameras and that’s why the sheriff ripped them off. They’re killing people. But they’re doing it to get your money. And they don’t care that it violates every law on the books. These things have been declared unconstitutional by court all across the country. They violate every aspect of the law, but it’s about the money. These cities are raising millions and millions and millions of dollars illegally and they’re putting your life and your property at risk to do it and they don’t care. Jason Hartman: Yeah, very good point. I’ve always thought that just from the most basic level when you talk about the constitutional issues, it violates 5th amendment rights when they mail you a ticket in the mail, you’re supposed to raise your hand and say “Okay, I’m guilty”? That’s ridiculous. Shawn Dow: It goes way beyond that. They’re denying you due process. Even if you do go to court, you’re not allowed to raise arguments like you could in a normal speeding ticket. They’ve lowered the burden of proof down to a preponderance of the evidence which is way lower. All it has to have is a picture. And it doesn’t even matter if it’s you driving or not. As long as you own the car, you’re guilty. Millions of tickets are being issued in this country every day through these programs to people who weren’t even driving the car. That is wrongly accusing people of a crime. And they’re forcing these people to pay it anyway just because they own the vehicle. Jason Hartman: Okay, just playing a little bit of the devil’s advocate here for a moment, because I want to get both sides out, they get a picture of the occupant though? Shawn Dow: Not in every state. Here in Arizona they do, but in Florida and Michigan and Chicago and New York, it’s only the rear license plate that they get. New Mexico, Texas, Iowa, Ohio, it is only the rear license plate. Jason Hartman: You know what it is really another big concern is you hear this noise going on about how they want to impose a mileage tax, in other words use GPS chips or other type of monitoring devices and record the amount of mileage we drive in our cars, so of course that would tell the government, the authorities where we are as well obviously, and nowadays most cars have GPS transponders in them, so they know where you are anyway. But isn’t that the point of a gas tax? So what they’re saying is if you drive a more fuel efficient car, which seemingly is what the Obama leftist want you to do with their proletariat car ideas, now you might get 50 miles a gallon and you’re paying gas tax for the gas that you buy, but they want to layer another type of mileage tax on top. I think that’s just a privacy invasion in disguise. Shawn Dow: I mean, you’re already paying $0.18 a gallon for federal tax on roads and then they tack on an extra $0.18-$0.30 per gallon in tax for state roads. So, you’re already paying more and more on top of that. Now, what they have done with these cameras is they’ve installed what’s called point to point system. So like in Star Valley, Arizona, you wouldn’t have to be caught speeding by the camera in order to get a ticket. It would take video of your license plate when you pass the first camera and then each camera subsequently after that. And if you reach that camera before a time that you should of, you were issued a ticket. In other states, this is rampant. Jason Hartman: Unbelievable. It’s just unbelievable. What are some of the other things we should really, really be concerned about? For me, it’s drones. I think the whole drone issue is just going to spiral out of control and just a massive invasion of our privacies and our rights to possibly assemble and so many other things. Do you have any thoughts on the drone issue? Shawn Dow: Oh sure, absolutely. I mean Arizona has requested to be the testing ground for the drones of America. They want to test every aspect of it from issuing you to speeding tickets from driving too fast on the freeways to looking for high crime areas and constantly searching those areas and constantly video recording high crime areas. I mean, I’ve seen all kinds of things. Because we have the Fort Watauga and that thing, they’ll be testing missiles from drones here, they’ll be testing everything, all the way down to the border patrolling of drones. Jason Hartman: Yeah, I hear they’ve got drones now equipped with rubber bullets, with tear gas, with all sorts of non-lethal riot or crowd control devices and the right to assemble is being trampled on dramatically. I mean, you look at the security perimeters around Obama, for example, they’re illogical. They’re way out of reach of the media. So when he’s doing a speech or something and you’ve got the protesters there, the media doesn’t even see them, so they get no air time. It’s just ridiculous. Shawn Dow: It’s very difficult. I mean, there was recently a situation here in Fountain Hills where a young lady sent out an email to about 17 people, trying to get them to be opposed to a road bond tax increase. And the town government issued her a letter saying they were going to arrest her for violating the laws by organizing more than one person together and not filing the proper paperwork as a tax exempt organization. Jason Hartman: Was she asking for donations? Shawn Dow: No, she was not. She said be against this road bond tax, so the town issued her a letter saying that if she stood out on a street corner with her friends because of this email that somebody had forwarded to the town clerk that they were going to arrest her. You just show up at any protest and watch what the cops do. They set up a little fenced in area and call it a free speech zone. Jason Hartman: Yeah, and it’s far away from whatever event is going on that the people are protesting against. It’s just crazy. I have seen some of these drones. There’s one camera, a drone camera, that is literally amazing. I saw a video about it. And from 20,000 feet or even higher I think, it can track literally a whole city. It can track the movements of individual cars, people, bicycles. For an entire day it can just circle up there and very, very high altitudes and track hundreds if not thousands of different “targets”. Shawn Dow: Let me ask you something, Jason. Do you think that’s the proper role of American government to do that to our people? Jason Hartman: Not at all. I think it’s a complete violation. Shawn Dow: We’re supposed to be the land of the free. It’s what every soldier swears in oath to the constitution and goes to a foreign land and fights for, is for our freedom. Who is the government really at war with? Jason Hartman: Well, as Rush Limbaugh says, the government always looks out for itself first, and I couldn’t agree more with that statement. Shawn Dow: Who is the government really afraid of? Are they afraid of terrorists in Afghanistan or is it us the people? They’re using the drones on us now. Jason Hartman: Yeah, I know. We’re seeing a greater and greater military and paramilitary presence right on US soil and of course in US airspace. And that is very disconcerting. The Boston bombing really showed that. In the Christopher Dorner case in LA and in the Boston case, they were looking for one guy, one assailant, yet they had armored vehicles. It’s just a massive overreaction. And in Boston you saw the people waving flags and cheering. Like, you’re welcoming this military invasion of your city? It’s just unbelievable. And in both of those cases, I might add, both assailants were caught by regular citizens. Shawn Dow: Yes, absolutely, including the video surveillance which was done by a private company who owned that property. It was that private citizen that owned that private property who stuck on that video camera to record his private property that captured all the evidence. It wasn’t the government that did it. It was also a private citizen that caught that 19 year old kid that shut down an entire city. One 19 year old kid bleeding in the boat was caught by a citizen, not by that entire massive show of police state society. Jason Hartman: It’s ridiculous and what scares me is that people just welcomed it and very few people seemed to really think about it being a total overreaction. Shawn Dow: Why not a total violation of the constitution? By having the military there for that, that violated the Posse Comitatus Act. Jason Hartman: Searching people’s houses, just unbelievable. Well, hey, let’s talk a little bit about Rand Paul for a few minutes if we could. And give us your thoughts on what he’s up to and what you’re doing with him. Shawn Dow: The organization Campaign for Liberty is a 501C4 organization, so we’re not really allowed to endorse or support any candidate, even though the organization was founded by his father, Dr. Ron Paul and Rand Paul signs most of our emails – it does look like he’s looking like he’s going to be running for president and it’s going to be a lot of fun. Those of us that play in politics every day, we know that it basically is coming down to Hillary Clinton and Rand Paul. And it looks like Hillary Clinton just lost the race. Jason Hartman: Because of Benghazi? Is that what you’re referring to? Shawn Dow: Oh, absolutely. I mean, it looks to us like she l back to handed the White House to Rand Paul and it’s going to bring back a whole lot of freedom and limited government and it’s going to bring that all back to America and we’re going to see a major shift in American politics real quick here. Jason Hartman: Well, I have to say I wish I shared your optimism. Given the fact that Obama was elected twice, I don’t share your optimism. I think the electorate is not paying much attention. Shawn Dow: If that man had done what he said he was going to do and kept all of his promises, I think there’d be a lot more happy people in America. But once again, a politician got up there, said he was going to do one thing and did the exact opposite. That’s the good thing about having that last name of Paul. We know that they are going to stick to their guns no matter what. Jason Hartman: Yeah. Well, when you look at the critics of Ron Paul and Rand Paul, do you think Rand is more electable than his father? Jason Hartman: Tell me why. Shawn Dow: Well, Dr. Paul, he was 30 years in Washington making the establishment mad. You don’t get to tell those people no and embarrass them for the fraudulent and ridiculous things that they do and expect not to be hated by the establishment. You’re going to create a lot of enemies and Rand just hasn’t had that enemies building list that Dr. Paul did. So they’re not as venomous against Rand like they were against Dr. Paul. Jason Hartman: What about foreign policy? That’s the one area where I think Ron really struggled. And I agree with him conceptually, I just take a little bit of maybe a more moderate ground with the belief that you can’t be quite that isolationist in today’s interconnected world. I certainly don’t like military bases in 170 or whatever countries in this massive policing the world mentality and just basically getting everybody to hate us because we’re doing it. Shawn Dow: That’s one of the things that you’ll see. Dr. Paul didn’t see himself as an isolationist. He saw the media spinning him saying we can’t afford to be the policemen of the world as boxing him into an isolationist state. It was a republican party platform that we cannot afford to be the policemen of the world. We know that it cost a lot of money to upkeep police departments to police the world. Somebody has to pay for that and the American taxpayer cannot afford it. Jason Hartman: Yeah, no question about it. Shawn Dow: That’s just simple and true. Plus, I’m not exactly sure that I agree with one country deciding what the laws and morals should be of 172 countries across the world. I think each country should kind of police themselves and I understand the argument that if we’re not the policemen of the world, someone else may try to fill that void. But in the meantime, I’m looking at our debt and saying we just can’t afford that, it’s just too expensive. Jason Hartman: Speaking of that, we are $5 trillion dollars later into Obama here after him saying that he thought George Bush’s spending was irresponsible. I mean, you couldn’t make this stuff up. You couldn’t even write fiction like this but it happens to be true. What are your thoughts on the economy and where we’re going. I mean, Obamacare kicks in heavy January 1st. We have massive debt, we have massive entitlement obligations. Do you see a lot of inflation coming our way? Shawn Dow: I see a lot worse than just inflation coming our way. I see what happens to countries that they go into this debt and printing of money problem. I’ve seen what happened to the Soviet Union. I’ve seen what’s happening to Greece. I’ve seen what’s happening to all these countries across the world where they just continue to print money and thinking that it’ll solve the problem. There is a serious debt problem and there is a serious spending problem. And I think it needs to be cut at the spending level. This is a free country and with that freedom comes responsibility. And looking at these numbers of Americans that are now on welfare, we’re looking at 1 in 10. In Los Angeles it’s 1 in 3. These numbers are absolutely crazy. And we just can’t afford to continue the spending that American government has been doing. We need to seriously look at that and do some serious painful cuts to avoid austerity like Greece or to avoid an absolute crumble like the Soviet Union. Jason Hartman: Couldn’t agree more. Well, Shawn, thank you so much for joining us today. Give out any websites that you’d like people to have or any other resources you’d like to mention. Shawn Dow: Sure. Go to CampaignForLiberty.org. That’s the organization that taught me how to be effective in politics. Go on there and join up. It’s a lot of fun. I have a blast everywhere I go, brother. Jason Hartman: Fantastic. Did you want to give out the War on Driving website as well? Shawn Dow: Absolutely. War on Driving, that’s our kind of news feed website. It keeps you up to date on every fight across the country dealing with the red light cameras and photo surveillance and all the constitution violating things that these private foreign companies are doing to Americans. 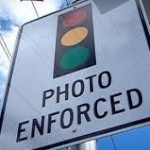 Jason Hartman: Just your anecdotal impression on the driving issue and the red light and the speeding cameras and so forth, would you say that that is waning? Are we starting to win that fight? Is freedom winning out? Or is government oppression winning out? Shawn Dow: Oh no, freedom is definitely winning. In the last 3 years, the cameras have come down in 87 cities and they’ve been banned in 15 states. So the cameras are definitely coming down. The greedy politicians are gonna keep trying to put them up, but the price of freedom is internal vigilance. And that’s what Campaign for Liberty is there to do. Jason Hartman: That’s a great quote to leave with. The price of freedom is internal vigilance. Shawn Dow, thank you so much for joining us today. Shawn Dow: Anytime brother, have fun.